South Africa is planning to design a new energy storage battery. The initiative will boost the use of renewable energy and reduce coal dependency. The project is co-financed by the AfDB and the European Union and implemented by Eskom, the national electricity distribution company. It is a premiere in South Africa. The country has just launched a project to design an energy storage battery. The technological system once set up will make it possible to conserve approximately 1440 MWh of energy each day. The electrical storage project will be implemented at 90 sites across the country. The work will be carried out in several phases. During the first phase, 800 MWh of energy storage will be deployed along the distribution sites in the East Cape, North Cape, West Cape and Kwa-Zulu. Deliverables for the first phase will be available in December 2019, according to Eskom’s estimates. The majority of the sites will be existing Eskom substations, wind farms or adjacent municipal properties. The second phase will deploy 640 MWh of energy storage in the nine South African provinces. The phase is scheduled to end in December 2021. Specifically, the battery storage systems that will be deployed will make it possible to save the energy produced by the wind and sun. 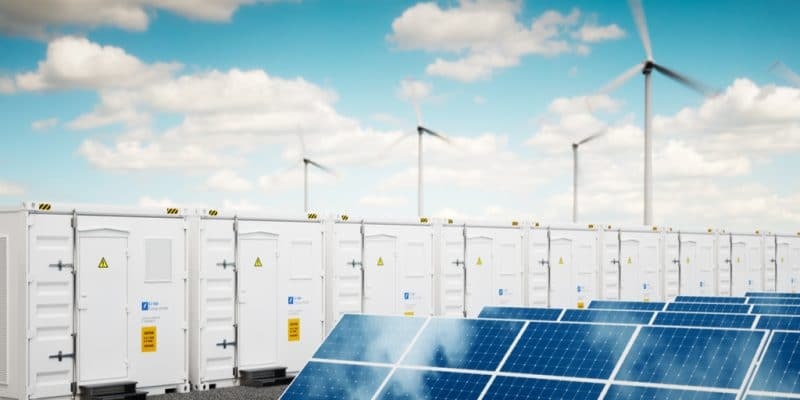 This will make it possible to store reserves to be used to fill deficits, in times of extreme demand and to overcome the difficulties generated by the intermittency of these energy sources. Currently, nearly 70% of South Africa’s energy is produced from coal. Coal consumption has increased by 23% since 1992. After coal, crude oil comes second with 14.8%, followed by biofuels and waste with 10.7%, then nuclear with 2.4%, gas with 2.9% and hydropower with 0.1%, solar and wind combined at the same level: only 0.1% of the energy supply. Through this storage project that Eskom is implementing, South Africa therefore hopes to facilitate access to renewable energy and reduce the power shortages that households are increasingly suffering from. The project is funded by the African Development Bank and the European Union.